Gain even more savings by pairing your flights and lodgings. 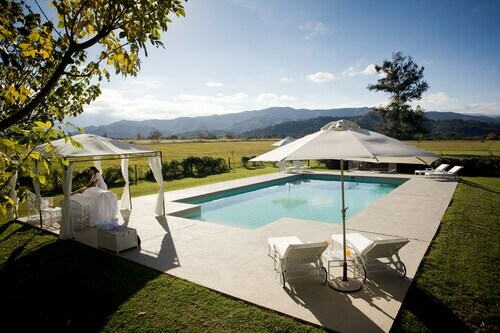 Expedia has heaps of amazing Salta travel packages that'll save you time and give you more cash to splurge! With more than 400 partner airlines and 321 000 properties to select from on our universal database, you won't have any problems crafting your dream holiday. You can make changes to almost any booking and you won't pay any extra fees to us. There are loads of amazing things you can do when you visit a new place. So why not get your trip to Salta off to a sensational start by checking out some of our suggestions? After all – out there starts here! Venture into the wider Salta region and get close to nature with some activities like mountain biking. Still have some time on your hands? If you really want to head home with some unforgettable holiday memories, throw mountain climbing on your agenda as well. 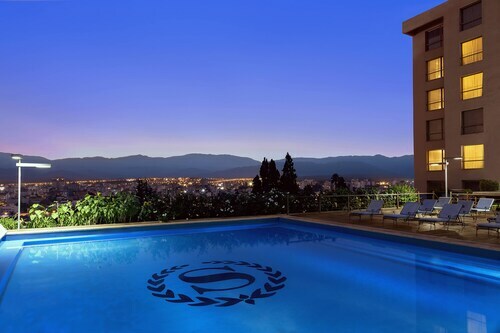 You don't have to sleep in fancy hotels or fly at the pointy end of the plane to have an unforgettable holiday. Just throw yourself into all the fun things you can do while you're there! Seeking something totally different to do? A 4-Day Salta Tour is worth looking into. For a full range of ideas, take a look at our Salta things to do page. Nearly ready for your trip to Salta? Wondering where you'll be landing? Martin Miguel de Guemes International Airport (SLA) is a convenient option. Once you've touched down and found your way out of the arrival gate, you'll be 16 miles (26 km) from the downtown area. The fascinating history and lavish interior are a good reason to visit this majestic Roman Catholic cathedral that adorns the central plaza of Salta. An elegant plaza located in central Salta where you can rest under a shady tree or gaze at the monuments to the region’s interesting history. Visit this grand 19th-century building to see the stately offices of Salta’s regional government and the beautifully landscaped Plaza Güemes. Sumptuous interiors adorn this Catholic church in downtown Salta, where classical art and detailed gold work are complemented by an elegant and understated exterior. Situated in Salta, this hotel is within a 5-minute walk of Cathedral of Salta and Alta Montana Archaeological Museum (MAAM). 9 de Julio Square and Museum of Contemporary Art are also within 10 minutes. Salta Station is 14 minutes by foot. 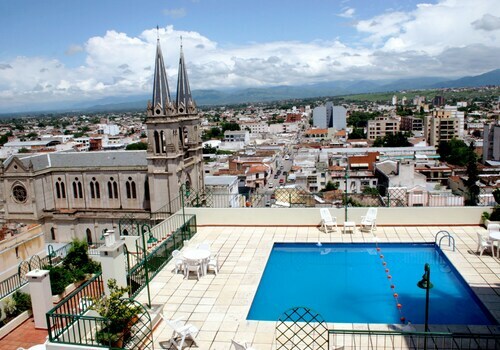 This family-friendly Salta hotel is located in the entertainment district, within 1 mi (2 km) of San Francisco Church and Convent, Museum of Contemporary Art, and Alta Montana Archaeological Museum (MAAM). Museum of Natural Sciences and Cathedral of Salta are also within 1 mi (2 km). Salta Station is 25 minutes by foot. 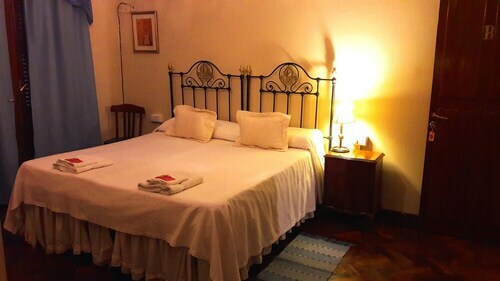 Located in the heart of Salta, this romantic hotel is steps from Valle de Lerma and Güemes Museum. Salta Museum of Fine Arts and Cathedral of Salta are also within 5 minutes. Salta Station is 15 minutes by foot. Located in the heart of Salta, this hotel is within a 5-minute walk of Güemes Museum, Cabildo of Salta, and Alta Montana Archaeological Museum (MAAM). Cathedral of Salta and Museum of Contemporary Art are also within 10 minutes. Salta Station is 19 minutes by foot. 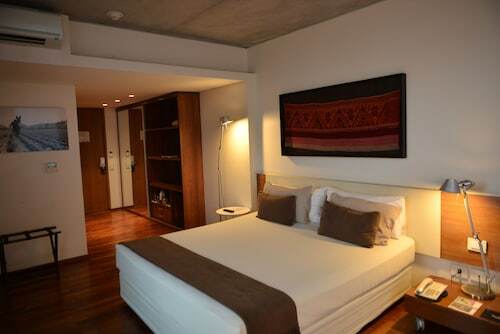 Situated in Salta, this hostal is steps from Valle de Lerma, Museum of Contemporary Art, and Salta Provincial Theater. Cathedral of Salta and America Cultural Center are also within 5 minutes. Salta Station is 17 minutes by foot. 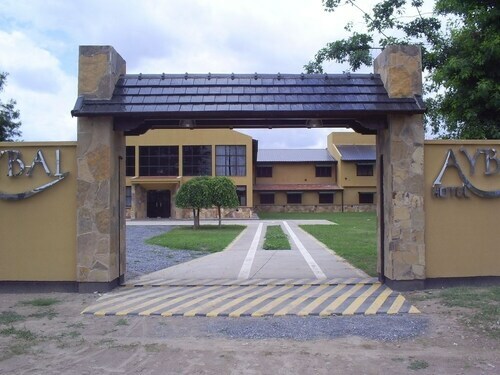 This family-friendly Salta hotel is located near the airport, 0.1 mi (0.1 km) from Valle de Lerma, and within 9 mi (15 km) of Salta Convention Center and Padre Ernesto Martearena Stadium. San Bernardo Cable Car and El Palacio Galerias Shopping Mall are also within 12 mi (20 km). Situated in Salta, this hotel is steps from Valle de Lerma and Train to the Clouds. Pajcha Museum and Plaza Guemes are also within 10 minutes. Salta Station is only a 1-minute walk. Situated in Salta, this aparthotel is within 1 mi (2 km) of Valle de Lerma and Salta Convention Center. Padre Ernesto Martearena Stadium is 2.2 mi (3.6 km) away. 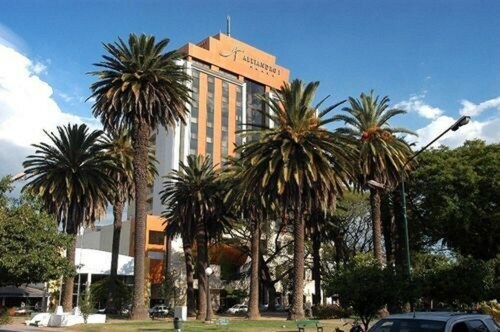 Looking for Flights, Hotels, Car Hire and Holiday Rentals in Salta?